Part# NO4095DW5 500 lbs. weight capacity Dual-button release provides greater security. 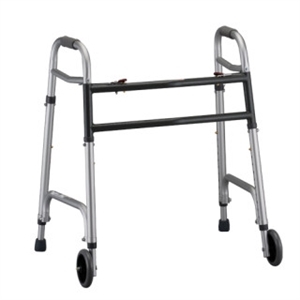 Folds to 4 inch width for easy transport and storage. Folds to 4 inch width for easy transport and storage. Patient Height: 5'4" - 6'2"
Height adjusts 31" - 41"